Antonio Conte has revealed that both Pedro Rodriguez and Thibaut Courtois are in contention to feature for Chelsea FC in their Premier League clash against West Ham on Sunday afternoon. The duo missed out due to fitness issues during Chelsea FC’s disappointing 3-1 loss to Tottenham Hotspur at Stamford Bridge last weekend. Pedro has been one of Chelsea FC’s most consistent performers this season and Blues fans will be hoping to see him back in action for the west London side as quickly as possible. Courtois has also been a regular fixture in the first team and the Blues will be hoping to welcome the goalkeeper back to their starting line-up this weekend. And Conte has revealed that the pair are very much in contention to feature against the east London side this weekend. Speaking at a news conference before the Premier League clash at Stamford Bridge, Conte said: “At the moment we have two players out, Luiz and Ampadu. “Pedro and Courtois could be back [in contention] though. Chelsea FC have been struggling to find consistent form this season but the Blues still have the chance to win a trophy this season, with the west London side set to take on Southampton in the FA Cup semi-finals at Wembley later this month. 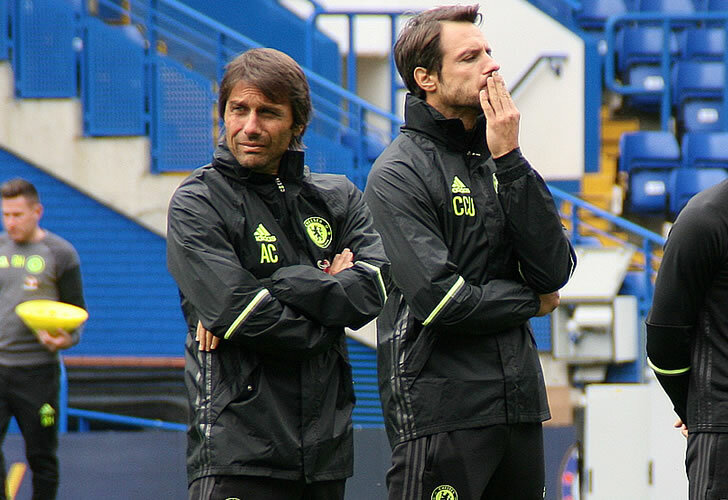 The Blues won the Premier League title in Conte’s first season at the club last term.